Son of Sri. Raman Nair and Smt. Parameswari Amma, born in 1958 June 9 , Thiruvananthapuram Kerala, South India. In 1979 completed his Electrical Engineering and in joined Madras Jayanthi Chemicals. 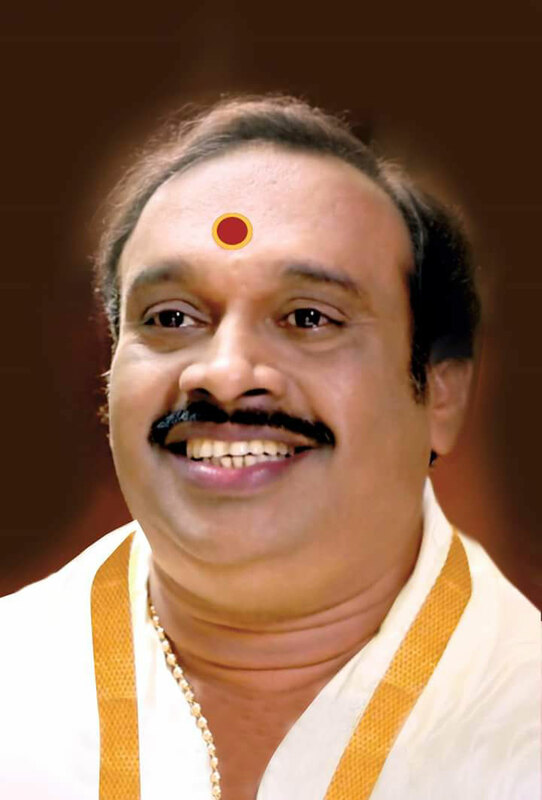 At the Same time he continued enhancing his astrological knowledge by learning and doing research in Astrology and in 1982 started his own office in near Attukal Bhagavathi Temple Thiruvananthapuram which was officially inaugurated in 1992 by Mis. Urvasi, the famous South Indian film actress. A lot of awards reached him to his credit. In 1993 he received the "Jyothisha Vachaspathi" award presented by the Kerala Fisheries Minister Smt. M.T. Padma . In 1996 he was awarded the "Jyothirbhooshanam Award" by Saavarni Jyothisha Vidya Peedam Aluva. In 1996 he was awarded MASc. in Astrology by the International Council of Astrological Sciences. In 1998, he was awarded Doctorate by the Telugu University and was presented to him by the Vice Chancellor Dr. C.V.V. Subramanyam at the International Jyothisha Seminar held at Andhra Pradesh. In 1998 ASIANET the first and best Malayalam TV channel, in association with its 5th anniversary, awarded a Gold medal for the best astrologer. In 1999 June 12 The Cultural, Arts & Sports wing under the Central Ministry for Human Resources awarded him the medal for the best scholar in Astrology. Middle east channel Friday morning UAE time (7.30)AM. Asianet channel Sunday morning 6.30 AM.